Uniquely able to evoke fond memories, the Home and Hearth area of Old School Museum is filled with furniture, appliances and household items. Housed in a display area designed to look similar to an early prairie cabin, the items are set about as though they were actually to be used. 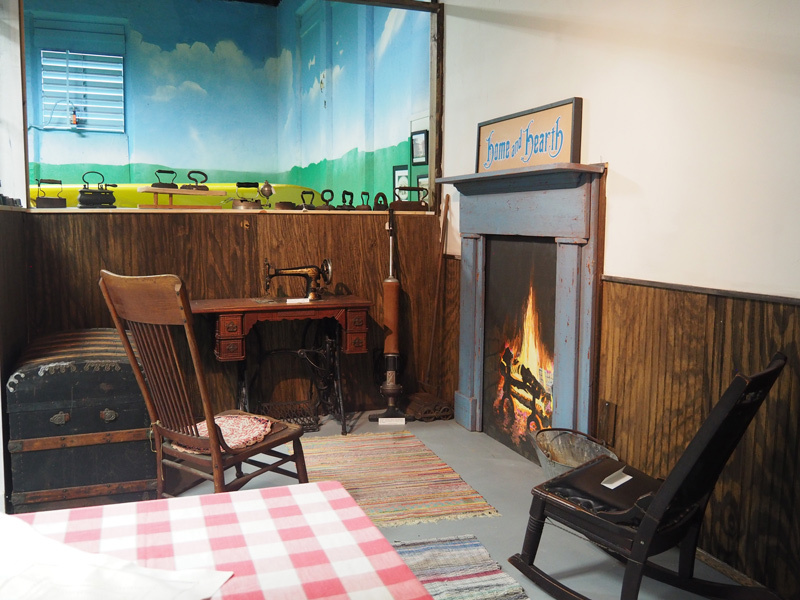 There is a parlor with a hearth and a kitchen area, complete with laundry. The items in the Home and Hearth collection are varied in age and show the development of household items from frontier days through to the modern mid-century era.